A New York Times Notable Book: The “wise and haunting” memoir from one of England’s most witty and beloved writers is “from first to last a wonder” (Jonathan Yardley, The Washington Post). From life as a poor unwed mother in London to becoming one of England’s bestselling authors, Fay Weldon has crammed more than most into her years. Wife, lover, playwright, novelist, feminist, antifeminist, winer and diner—Fay leads us through her peripatetic life with barely a role she can’t illuminate. 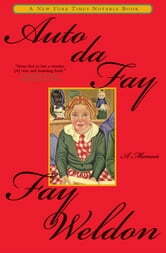 Born Franklin Birkinshaw in 1931, Fay spent most of her youth in New Zealand. With her glamorous father, a philandering doctor, generally absent, Fay’s intrepid mother and bohemian grandmother raised her along with her sister, Jane. Brought up among women, Fay found men a mystery until the swinging sixties in London where she became a central figure in the literary scene. She scraped along penning winning advertising slogans before she began to write fiction. As this memoir comes to a close, we witness the stirring of her first novel. 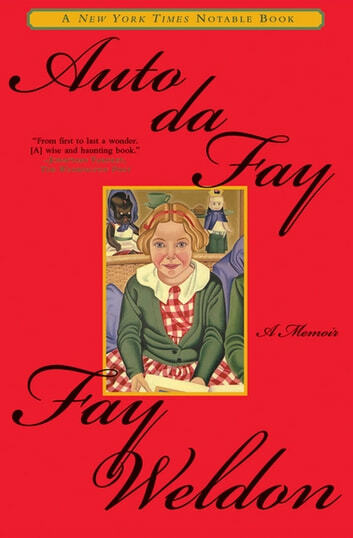 Riddled with Weldon’s fierce opinions, as well as her “stinging wit, jaunty prose, memorable bon mots,” this frank and absorbing memoir is vintage Fay. An icon to many, a thorn in the flesh to others, she has never failed to excite, madden, or interest. And now she has finally turned her authorial wit and keen eye on . . . herself (Publishers Weekly, starred review).